Also consider this: the cheaper aluminium Apple Watch Sport is actually a lot less prone to obvious scratches than the fancier stainless steel version in terms of body (if not screen, as noted above). While you might assume the steel is harder and tougher, it's actually softer than the aluminium used in the entry-level model. Then there's the finish to consider. Like the rear casing of iPods Classics, the steel Apple Watch has a super-shiny chrome finish that shows off scratches very readily. It almost seems like the little guy is proud of the things. The Apple Watch Sport has a matt anodised finish, more like current iPhones, and it makes scratches a lot less obvious. Finally, if you're thinking about protection, there are cases that surround the whole watch. Inevitably, they add bulk - and some models are hideous. 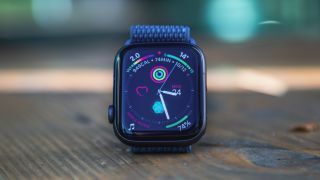 But if you’re likely to be in an environment where your watch faces various hazards, a case may be a worthwhile investment unless that environment is hot and humid, or wet. It’s a 'liquid skin' film that you apply while wet, although some reviewers have found that the little sections for the sides of the Apple Watch are very, very fiddly to apply. The main screen bit is a doddle, though. Here’s a great deal for US Apple Watch owners: the same liquid skin film you get in other firms' protectors at a rock-bottom price. RinoGear’s top-rated screen protectors are available for just $7.85 for a pack of six at the time of writing, which is a dollar thirty per protector.